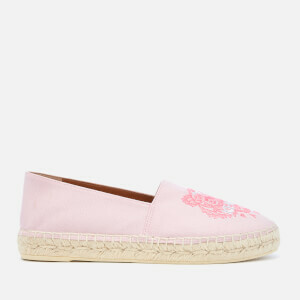 White canvas KENZO espadrilles with the Parisian brand’s iconic tiger logo embroidery on the front. The slip-on shoes sit on a woven rope midsole with a slim rubber outsole for added traction. 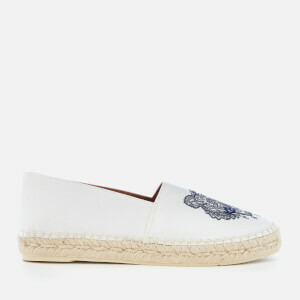 Elasticated side gores, bound trims and a rope insole complete KENZO’s bold take on a classic espadrille.